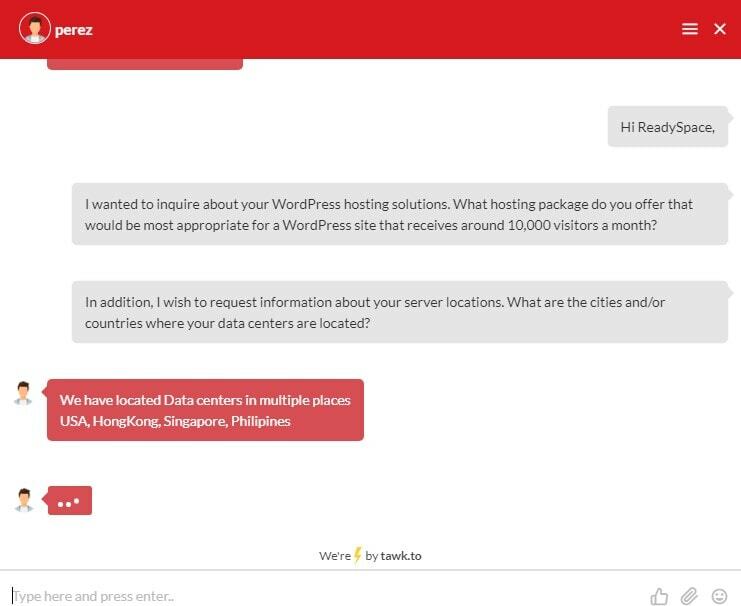 ReadySpace Review 2019: Is ReadySpace a Good Hosting? Hosting company ReadySpace describes itself as focusing on providing cloud services to businesses that demand performance, compliance, and connectivity across the Asia-Pacific region (where it hosts more than 10,000 customers) and America. Established in 2003, ReadySpace is a Singapore-based hosting company with more than 10,000 cloud hosting customers in Asia Pacific markets such as Singapore, Malaysia, India, Indonesia, Hong Kong, and the Philippines. In 2013, this vendor expanded its operations to include U.S. businesses with Asian interests. ReadySpace’s cloud-based servers are located in the U.S., Singapore, Philippines, and Hong Kong data centers. All servers use SSD storage for improved performance, and they are connected to multiple major carriers for lightning-fast network connectivity. ReadySpace offers cloud server plans for Linux, Windows, Plesk, cPanel, Webuzo, 3CX, VPN, and Snapt, each with its own table of prices. The Cloud Server Linux package lets you choose from several Linux distributions, including Ubuntu, CentOS, and OpenSuse. All three are pre-installed, and your server can be deployed in a matter of minutes. The Cloud Server Windows package allows you to bring your own complex configuration or just choose a standard Windows hosting environment. ReadySpace offers full snapshot backups powered by a standalone R1Soft backup hosting plan. R1Soft Server Backup Manager gives continuous data protection for the websites hosted by this vendor. Customers can quickly restore large files or even the entire file systems using bare-metal restore, whilst the granular restore allows you to restore data even when a backup job is running. ReadySpace also offers SSL certificates as an additional package. ReadySpace’s hosting solutions are extremely expensive, maybe because it offers cloud-based hosting services that come with large disk space and monthly bandwidth allowances, thus making them more suitable for big businesses than small retail customers. Prices are listed in U.S. dollars, and you can pay on flexible billing cycles. There is no free trial period and no money-back guarantee, but you do get a 99.95% uptime guarantee. If you prefer to support yourself, ReadySpace provides a regularly updated blog and a comprehensive knowledgebase. ReadySpace’s cloud-based hosting solutions could ideal for bigger businesses with high demands for performance, compliance, and fast network connectivity. Although expensive, this company is the preferred cloud service provider for more than 10,000 customers across the Asia-Pacific region and the United States. One of the reasons for this may be the highly responsive and polite support team. Join the 10,000+ cloud customers at ReadySpace. 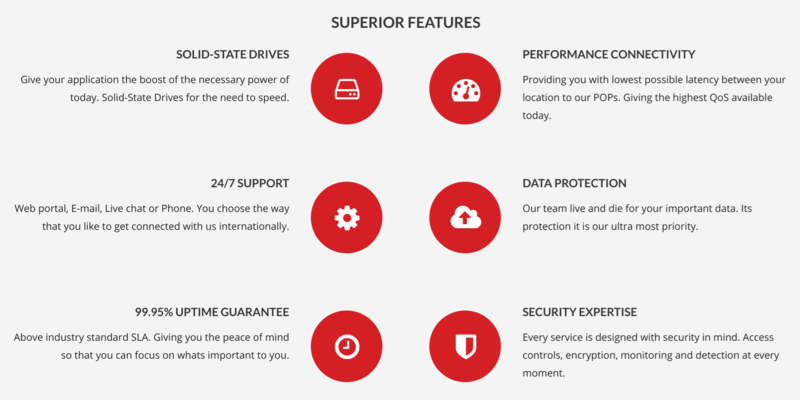 Wondering how ReadySpace stacks up against other Web Hosting companies? Enter any other Web Hosting company and we will give you a side-by-side comparison.